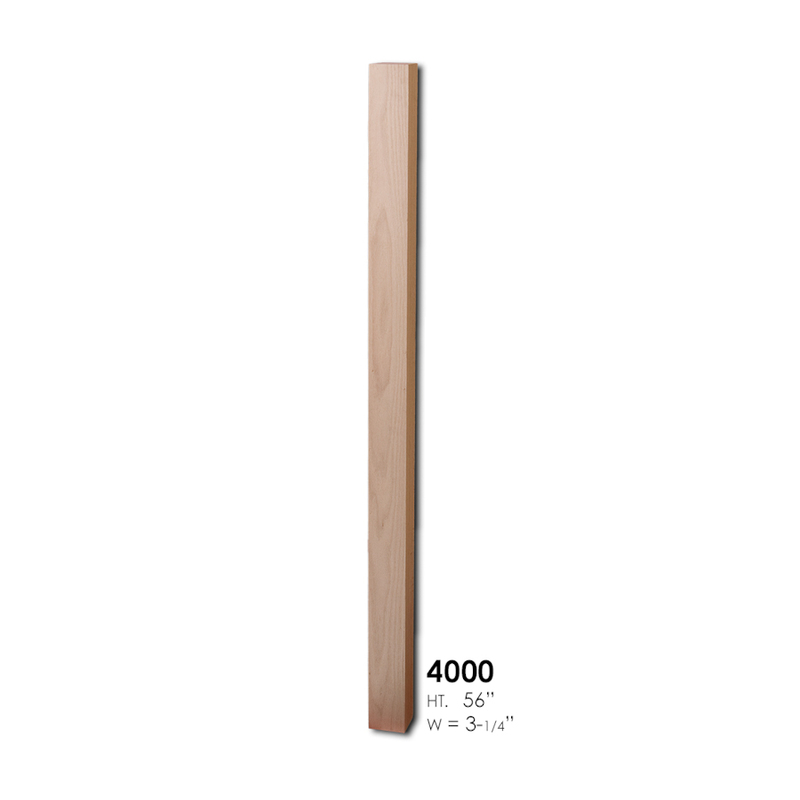 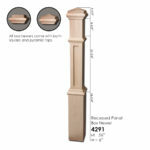 Wood newel posts for stairs act as the support post and provide stability to your stairs and railings. 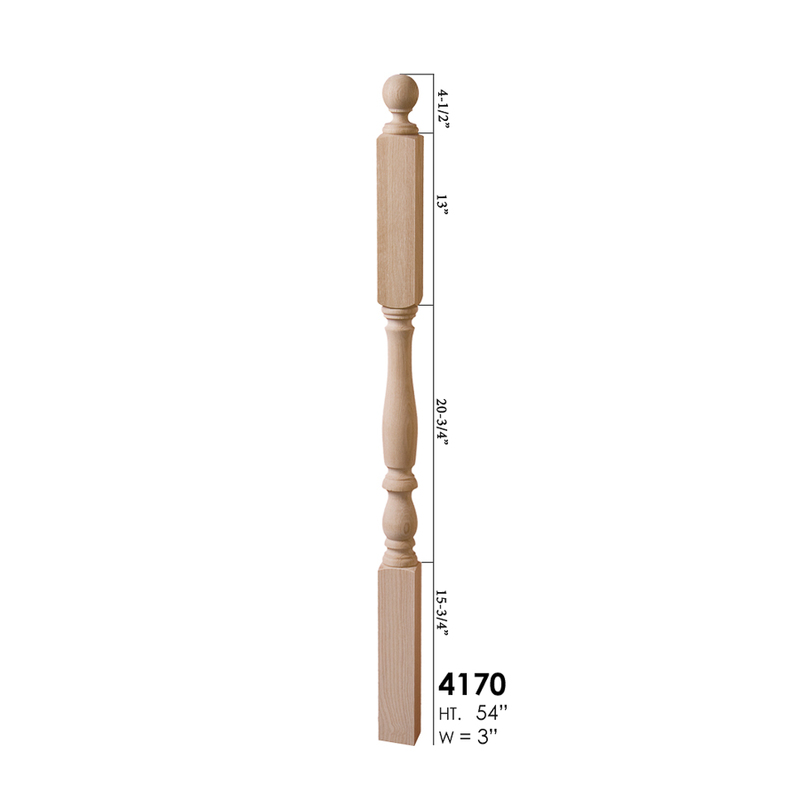 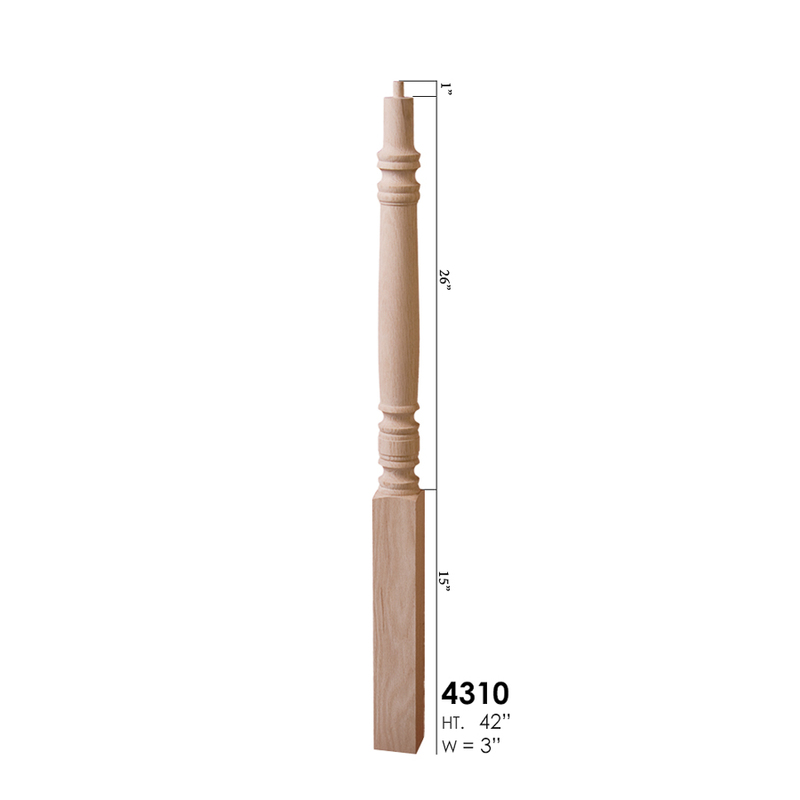 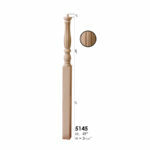 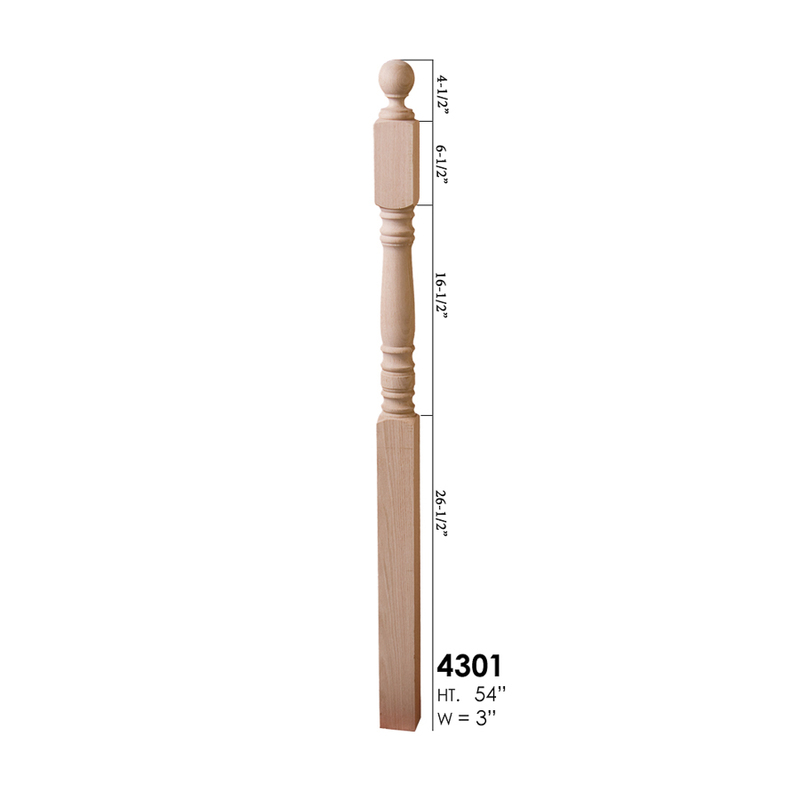 You need a newel post every 8 feet, ever time your stairs turn or change levels and on every end. 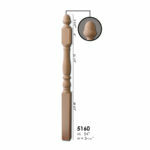 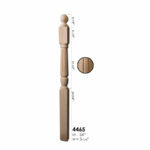 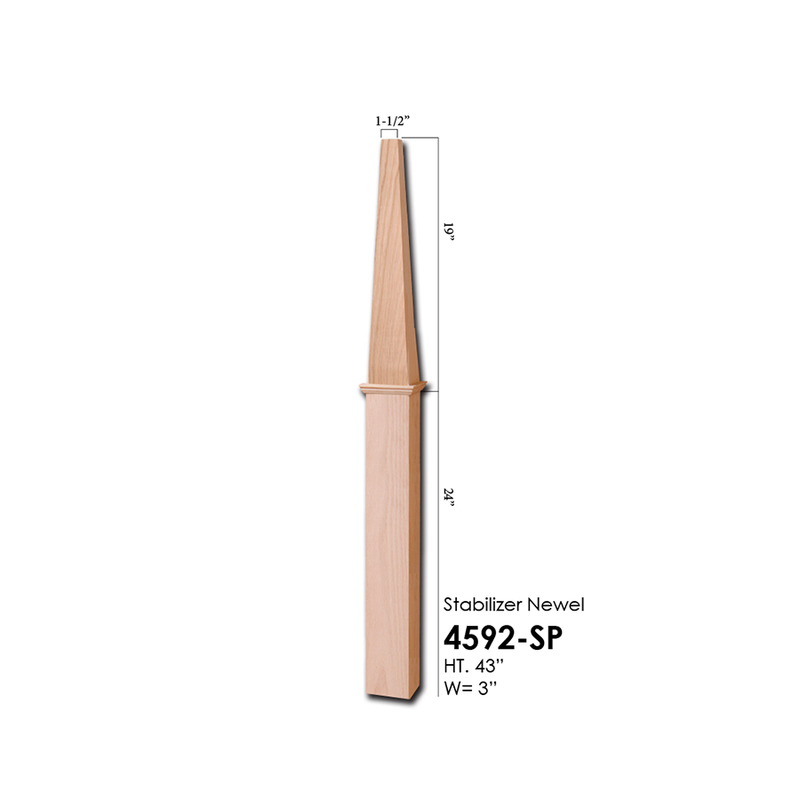 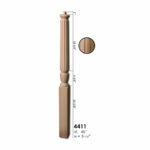 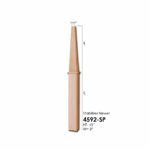 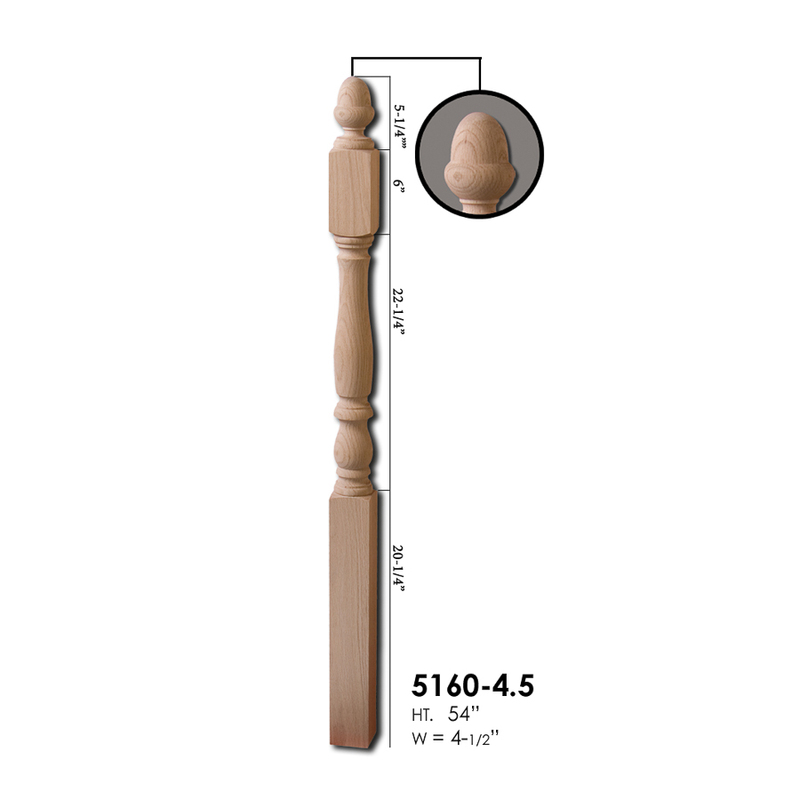 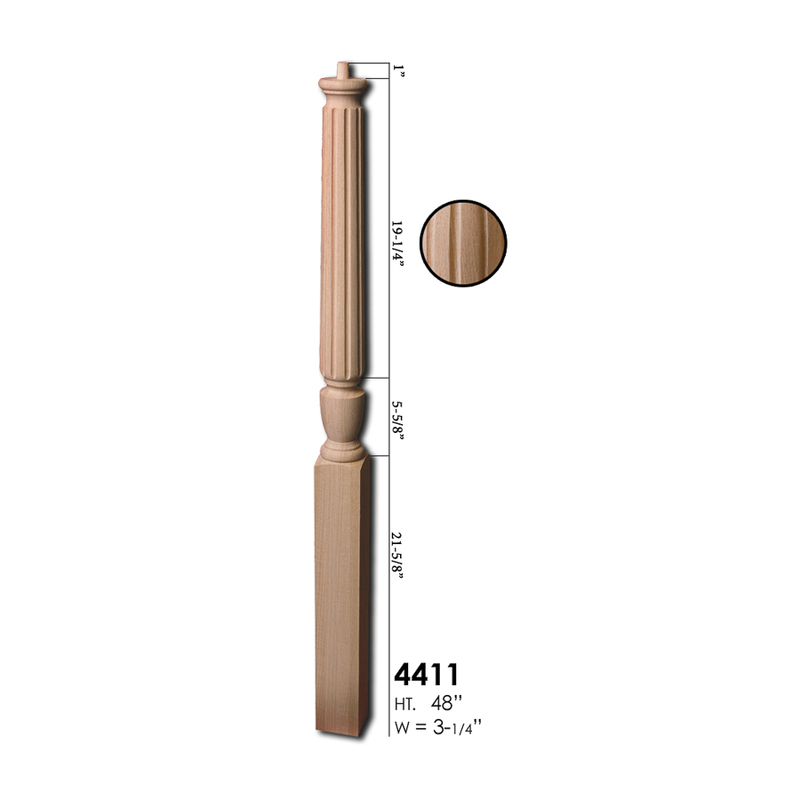 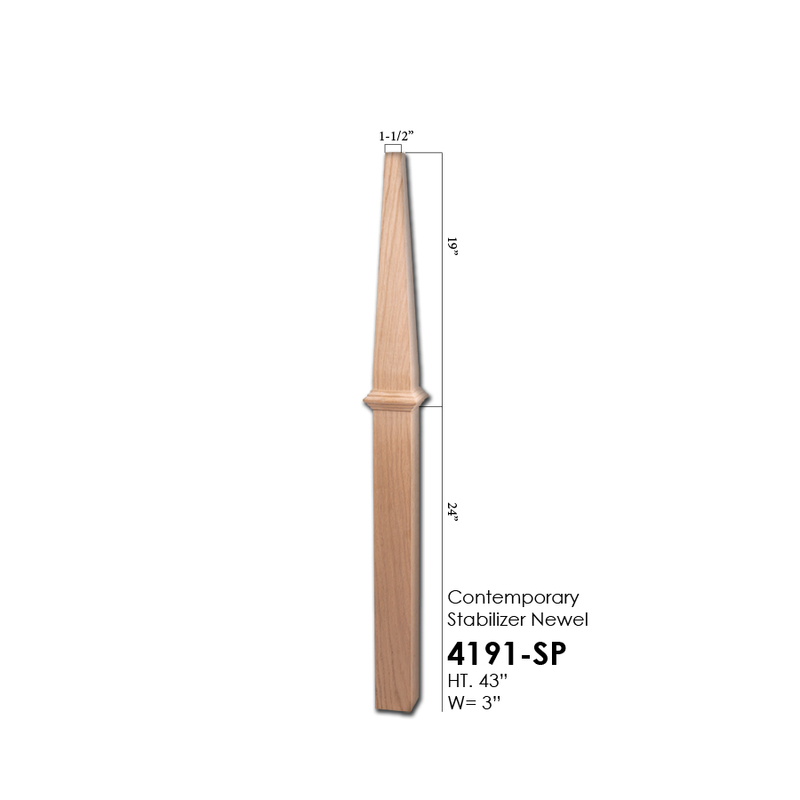 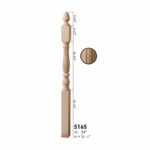 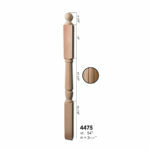 We have pin top newels designed for over the post railing systems. Standard top newels designed for post to post systems. Landing Newels that have a longer block top, also used for post to post systems and are also used on landings when your stairs change level. 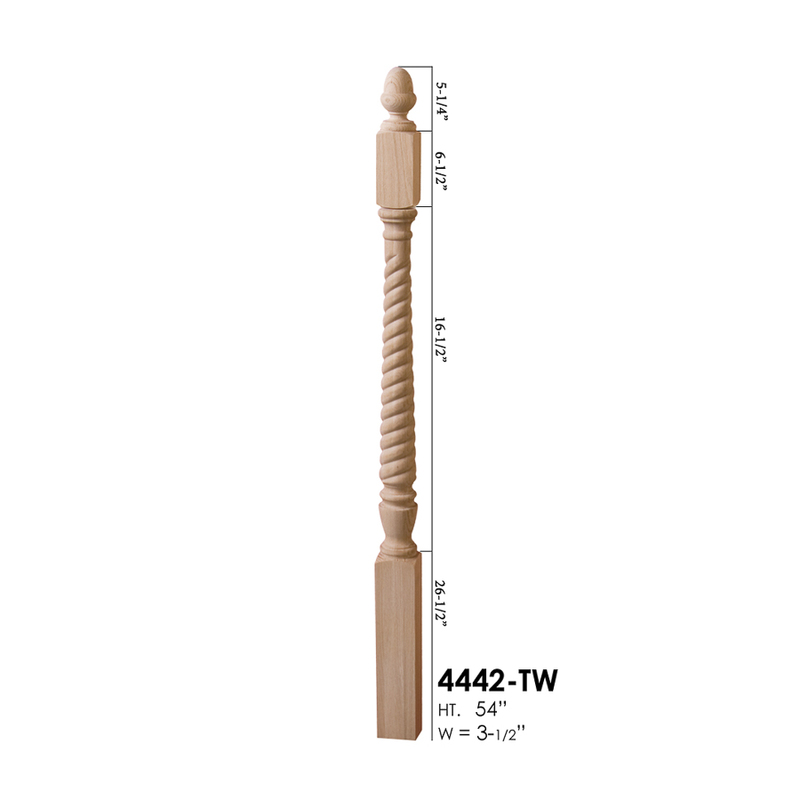 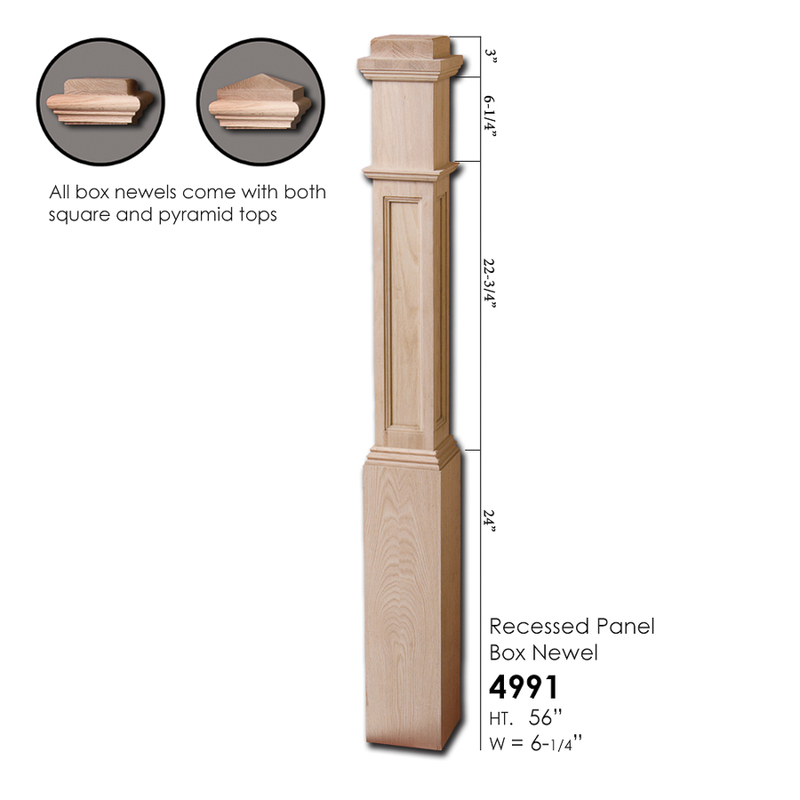 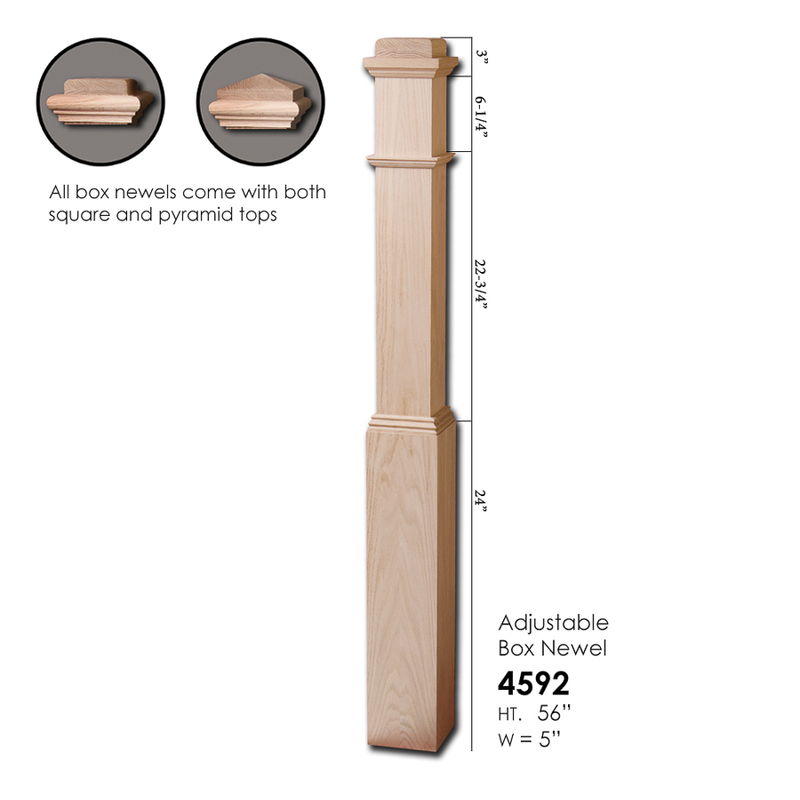 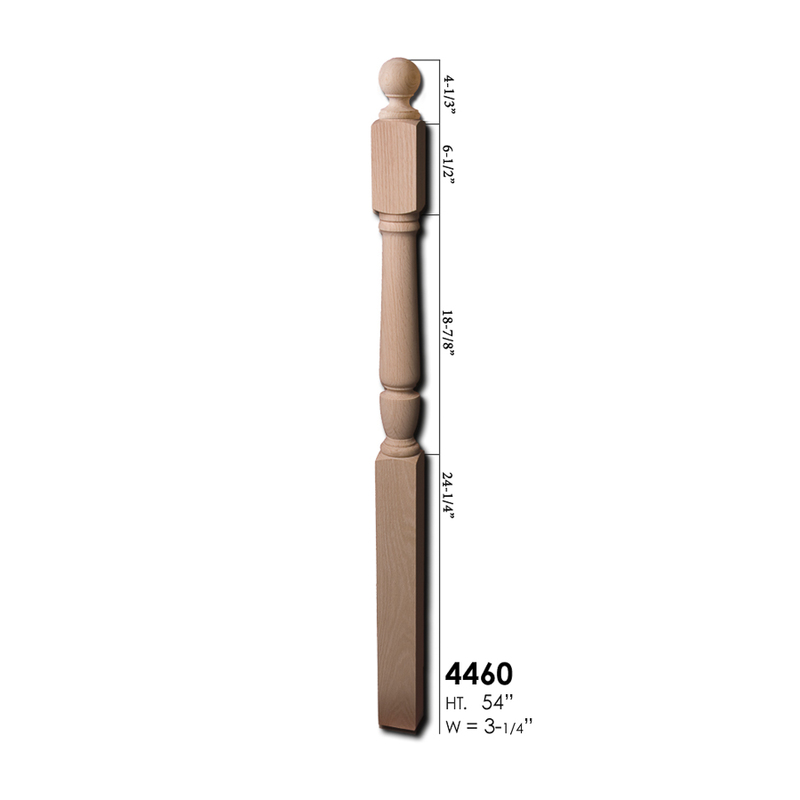 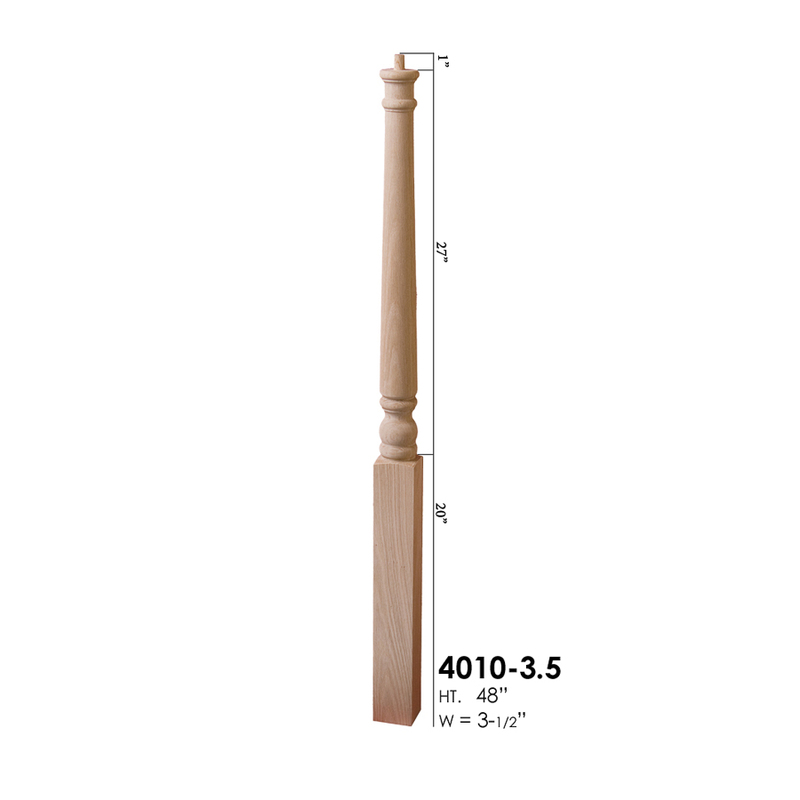 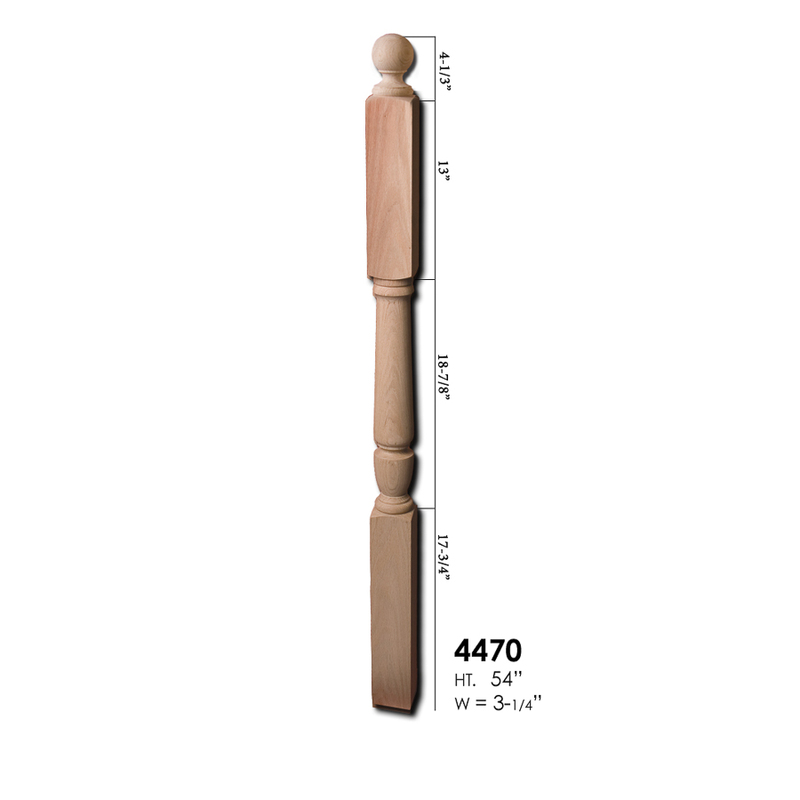 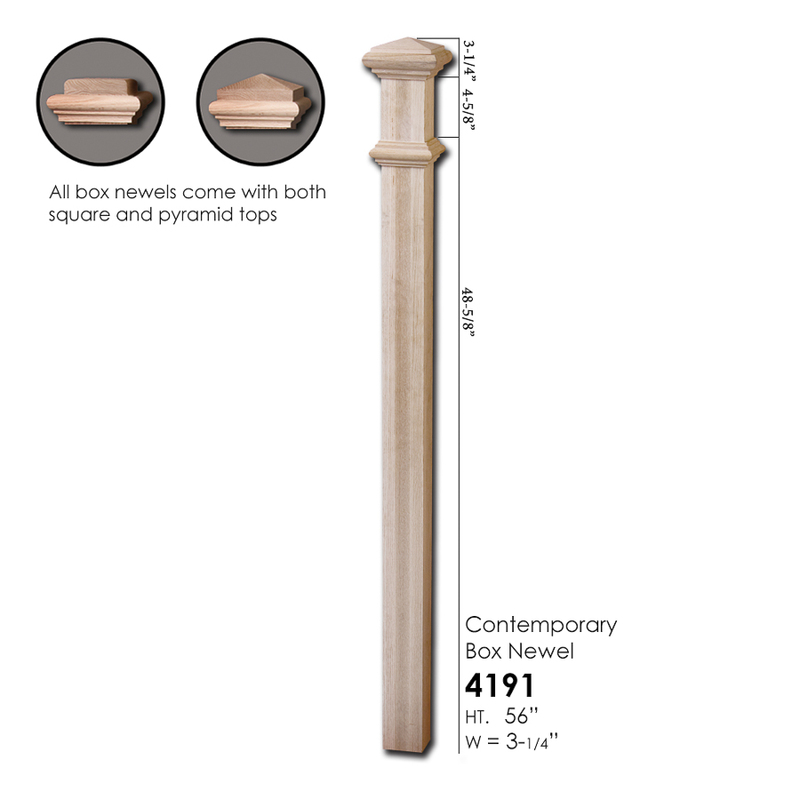 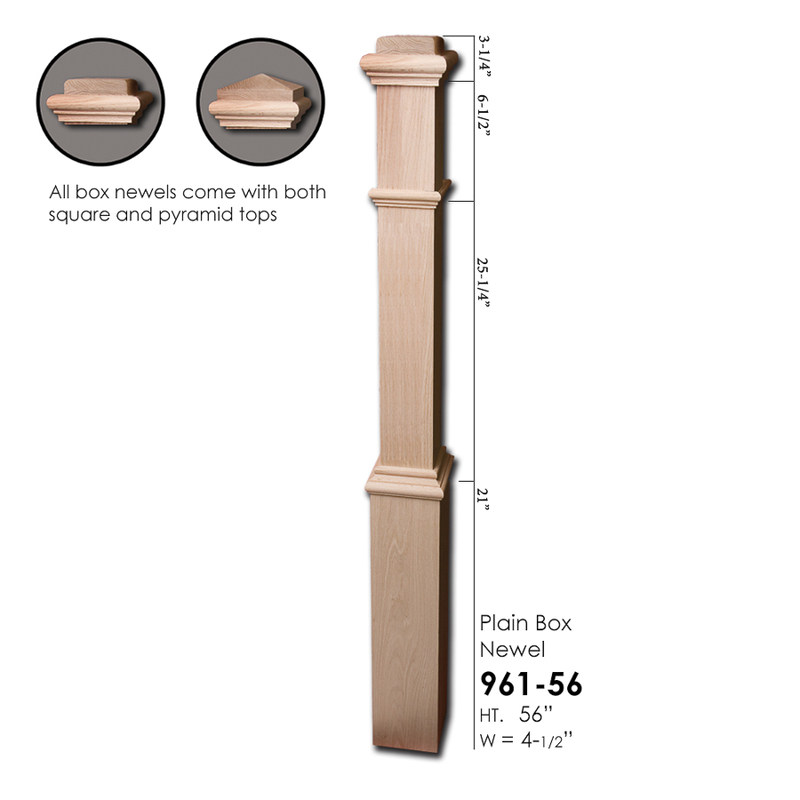 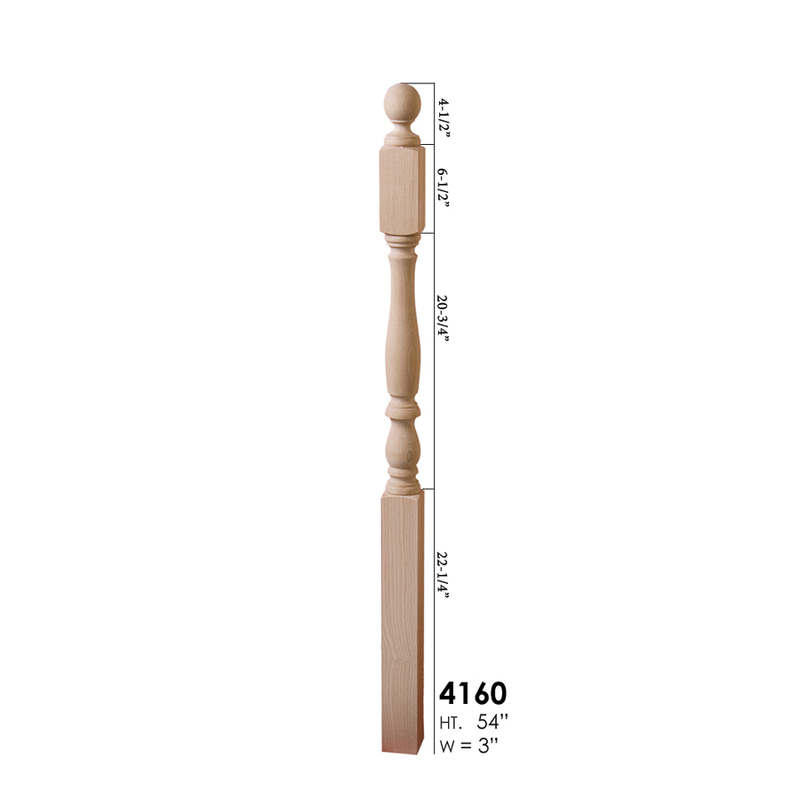 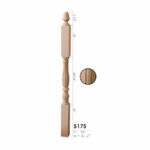 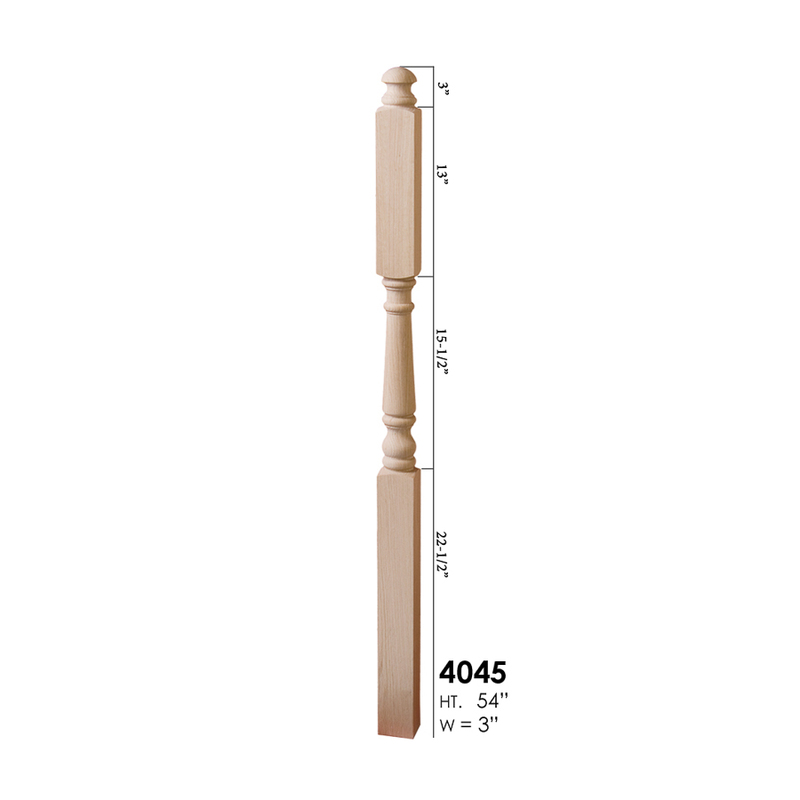 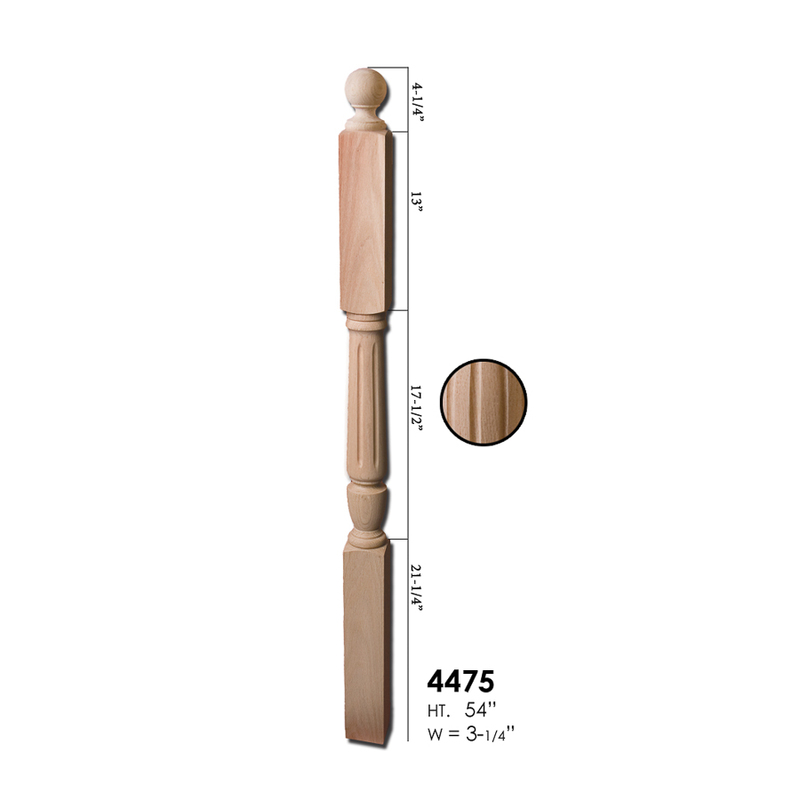 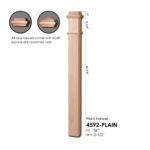 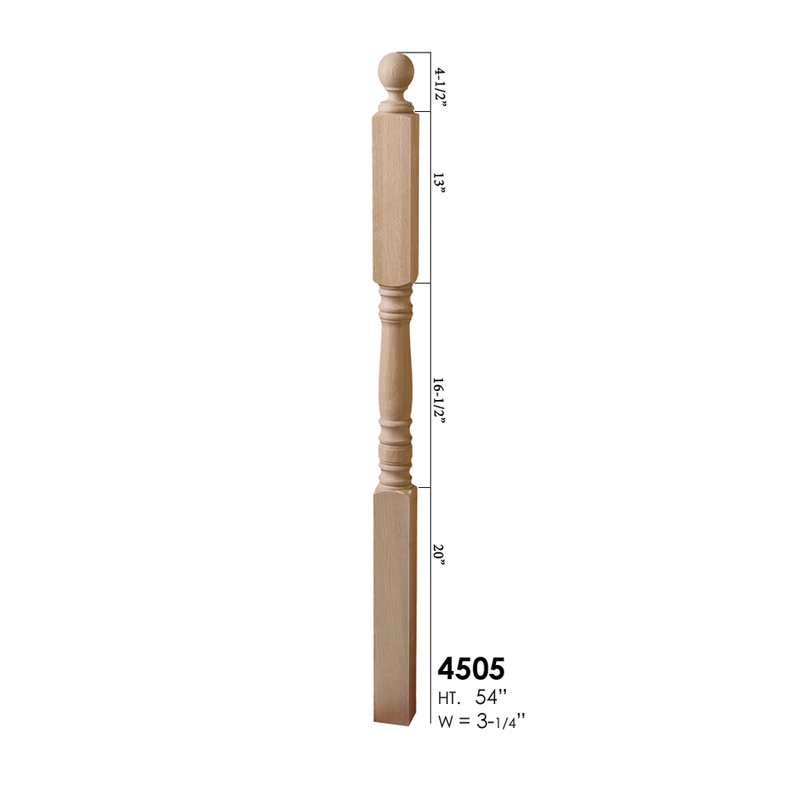 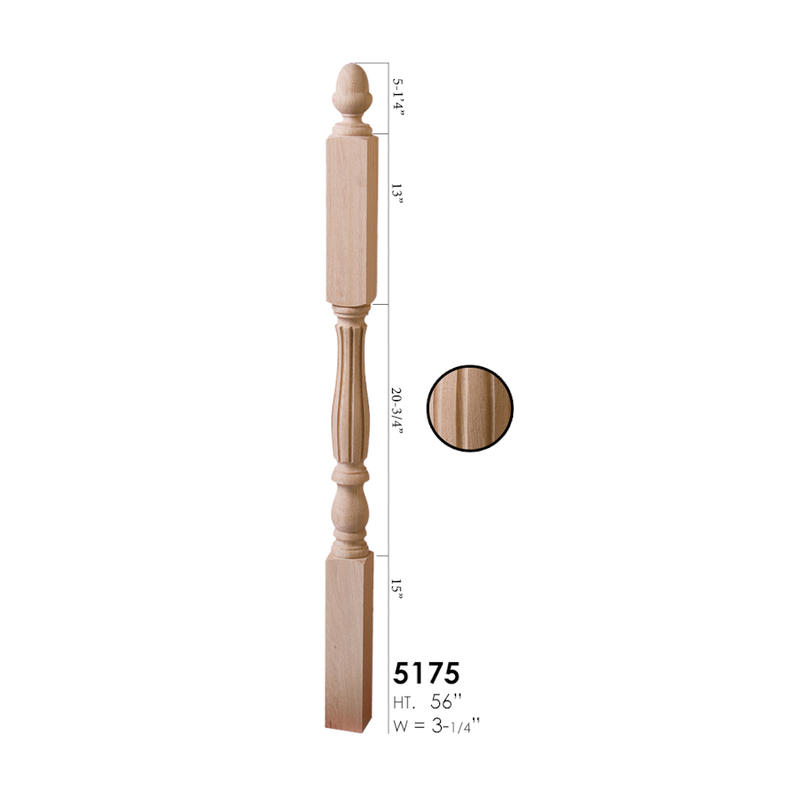 Box newel posts are used in grand staircases and craftsman style staircases.